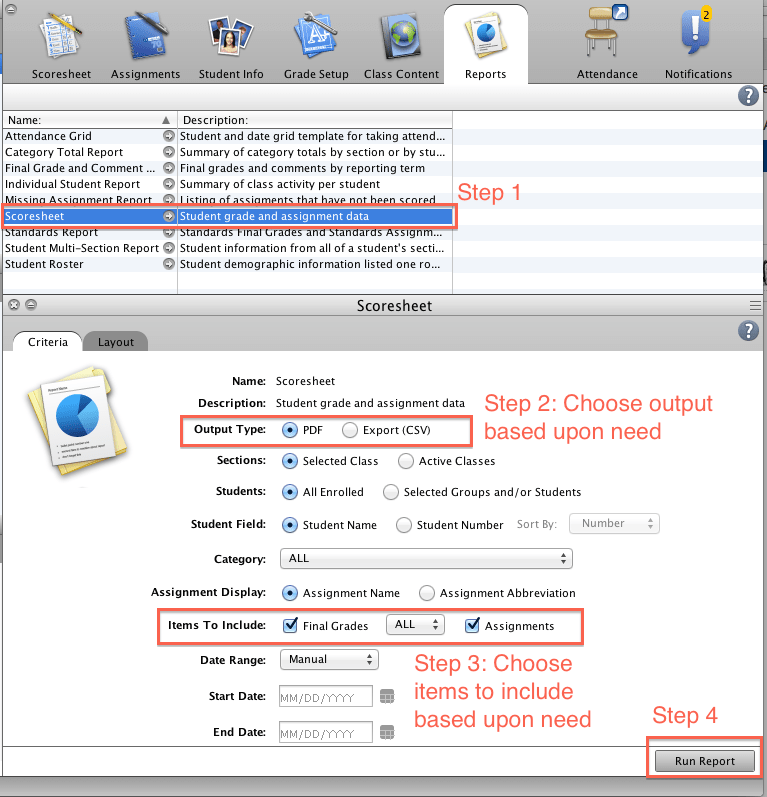 Final Step(s): Save the report output, print the documents or review students' grades offline. Two reports exist in PowerTeacher which allow teachers to create a back up of both Assignment Scores and Final Standards Grades. Using these reports, grades may be exported from PowerTeacher and into either a spreadsheet format (CSV file) or into a PDF format. The same basic process is used for both reports, but it is important to determine in advance how this information may be used in order to choose the proper output type. For example, if you are interested in printing the information to post, the PDF format would be the best choice. 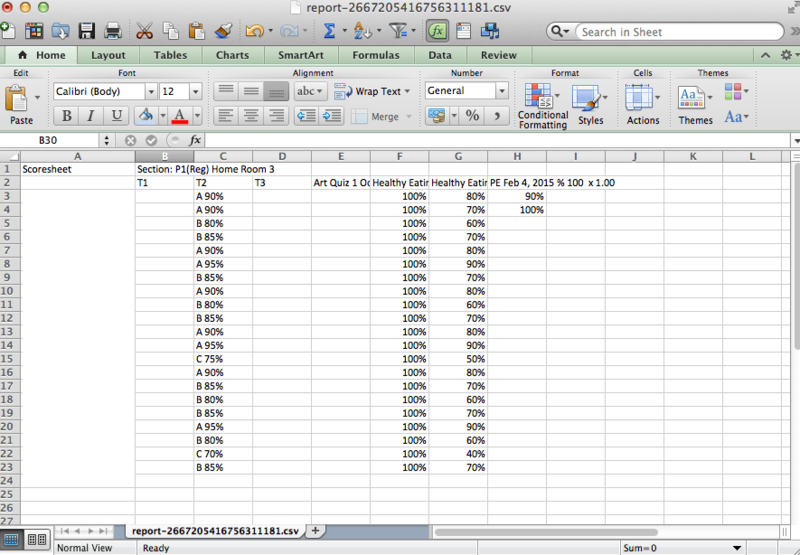 However, if you want to manipulate the data to review calculations, the CSV export should be used. The Scoresheet Report is like printing your electronic grade book, nothing more. It provides a list of assignments and the students’ individual scores for each. The steps are outlined below. From PowerTeacher gradebook, choose the Reports tab and select the Scoresheet report. Choose the output type based upon your needs. Remember, a PDF is a snapshot for posting whereas the CSV may be manipulated more easily. The choice here is simple. Do you want to export only the final grades? Would you like to export only the assignment scores? Or would you prefer to export both? If your goal is a backup of your grades, it is recommended that you choose both Final Grades and Assignments. The examples above show both the final grades and assignment scores. The output should resemble the examples shown above and may be saved or printed as needed. Standards Final Grades may be printed or exported using the Standards Report from the Reports tab in PowerTeacher. 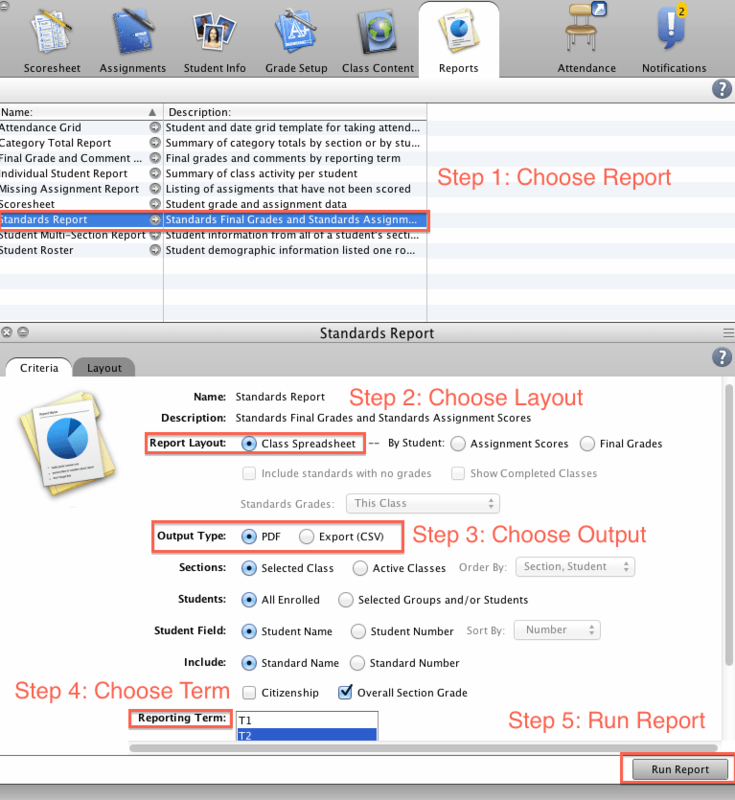 Final Step(s): Save the report output, print the documents or review students’ grades offline. Regardless of your choice, you now possess a current backup of the students’ grades and assignments scores for your records.